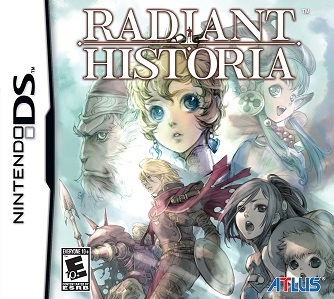 Inspired by Anand's 'choose your top 5' roundtable, I am curious to find out your opinion on another topic dear to my heart: what are your top 5 non-Square Enix RPGs on Nintendo systems? I decided to make it non-Square Enix to avoid the Chrono Triggers, Final Fantasies, and Dragon Quests that will surely pop up on many lists. Note: I'm considering strategy RPGs a different genre, so Fire Emblem won't be on my list. I'll give it some thought; in the mean time, what about you? That sounds about right. 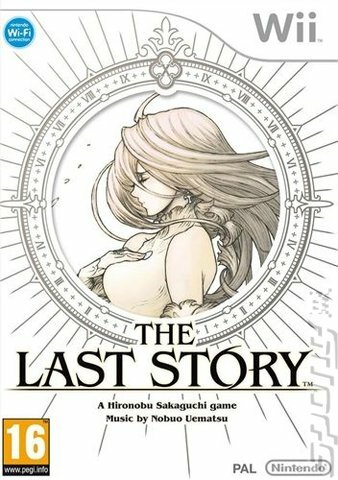 I'm sure there are some games I'm just not thinking of, but...these games resonated most with me outside of the Square-Enix realm. I went and made my list and suddenly realized that you never said no Nintendo, just no Squarenix, so now I made it again. Also I'm not going to include SRPGs because those are basically a different genre. The thing is, Xenoblade is almost definitely going to be in this list. Just not sure where yet. So many options!! Can we make it a top 10? I don't play many RPGs, so removing FFVI and Chrono Trigger from the list limits my options. Same as Zero, I'm sure Xenoblade fits in here but I stopped playing it for some reason. It's a GREAT game though. I only stopped for Shocktoberfest. I'm like 30-40? hours into it and definitely not tired of it. I do sometimes get a bit tired of it but that is usually when I'm spending lots and lots of time running all over the damn place instead of doing what I'm supposed to. At those points I just say to myself "ok you're getting a bit worn down here... GET BACK ON TRACK!" and then it gets fun again. Runners-up: Pokemon R/B, Pokemon G/S, Lufia 2, M&L: Superstar Saga, M&L: Bowser's Inside Story, Tales of Symphonia, maybe Xenoblade when I'm done. Wow, 4/5 are Nintendo games. Who says Nintendo can't do RPGs? And that's not even counting Pokemon and Fire Emblem. Zero! Golden Sun above Lufia 2? So your question is basically "What are your top 5 RPGs besides all the good ones?"! Can I not even pick Super Mario RPG?! This is all that even comes to mind, I can't even think of a fifth one! Just out of curiosity would Breath of Fire count or not? Yes it was published here by Square but it is a Capcom game. Can I not even pick Super Mario RPG?! Let's call that one a Nintendo game, so your list should hit five. I call the first BoF a Capcom game, so feel free to use it! You can reference the GBA re-release. It was published by Capcom. @Mop it up There are tons of good non Squeenix RPGs! And a decent amount of them on Nintendo platforms. Just check out well... the other posts in this thread. A lot of games mentioned from you people are ones I have yet to play... This was harder then I thought it would be. Unless I missed something.. Ogre Battles got blocked along with Fire Emblems. Haven't finished Xenoblade or started Last Story. Yet to play Illusion of Gaia (saw it here, but isn't that Square, too?). Didn't count Puzzle Quest or Muramasa yet I consider both of them to be RPGs of sorts. Very challenging. EDIT- I should also note that I love the Paper Mario games and Mario RPG, but I don't technically own them (Nikki does; she wanted them, and we weren't going to buy two copies) so I never rated them at all. Hmm. 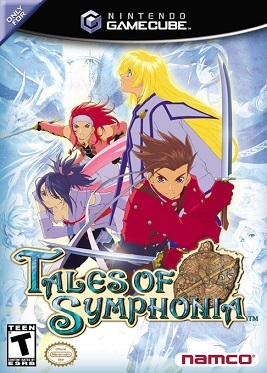 I loooove Tales of Symphonia. Well, I think this is my list. Stache, I also used my NW ratings to help guide my ranking! 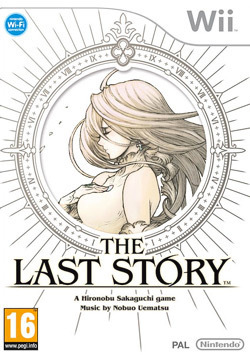 --The Last Story was awesome but ranks a little bit below these others. --Too bad I can't include The World Ends With You: it's quite a departure from Square's other games! --Some of my close calls were Breath of Fire II, Skies of Arcadia Legends, Tales of Symphonia, and Baten Kaitos. --I have yet to play Tales of the Abyss or Radiant Historia! --There wasn't as much Lufia on everyone's list as I had expected (except for @Zero of course, and @TriforceBun's runner-up. I barely even remember hearing about that game! Yet to play Illusion of Gaia (saw it here, but isn't that Square, too?). Not really a big RPG-er, but Pokemon, Paper Mario, Golden Sun in no particular order.